This year marks our sixth holiday season without our sweet son, Joey. I wish I could say that each year gets easier, but it doesn't. We still hang five little boys' stockings rather than just four, we still talk about how Joey missed his last chance to have mashed potatoes and gravy (his favorite Thanksgiving food) because he was in the hospital, and we still celebrate two little boys' birthdays on New Year's Eve instead of one. If I've learned anything, I've learned that you just need to pull yourself up and GO ON. As hard as it may be, as much as you might want to hide away from everyone and everything, life goes on. And if you have other little children or other loved ones counting on you, it definitely moves ahead whether you want it to or not. I was particularly dreading the Christmas after Joey died. He was gone, I was pregnant and afraid to tell anyone, and I had no desire to send Christmas cards or celebrate at all. It seemed like an insult to Joey's memory, though, so we had a party. We invited some friends, decorated gingerbread houses, and invited Santa to visit. And that helped. It didn't cure my grief or make it go away, but it helped me to understand that still celebrating a holiday that Joey loved was okay. Be kind, gentle, and realistic with yourself. For many years you've done things a certain way. You have expectations of how the holidays are supposed to look and feel, but don't get caught up in the "oughts" and the "shoulds." "I ought to do this." "I should go here." Don't say those things to yourself - you don't have to. Listen to your heart and acknowledge your limits. Spend some time thinking about your needs before the holidays start and share them with your family. It's okay to say no. You don't need to go to every party or do everything that you used to do. Grief is exhausting enough. Let some things go or make compromises and take care of yourself. Adapt cherished traditions. Like I said, after Joey's death I wanted to scrap Christmas altogether. However, finding comfort in old traditions and making some new ones can be healing. I keep Joey's stocking up, and I buy a gift that he would like and donate it to Toys for Tots. Tears are okay, but be sure to look for the joy. Don't be surprised if the tears come when you least expect it. Tears can be healing, especially if they are associated with good memories. Think of all the gifts your loved one has given you, and celebrate that joy. Have hope. 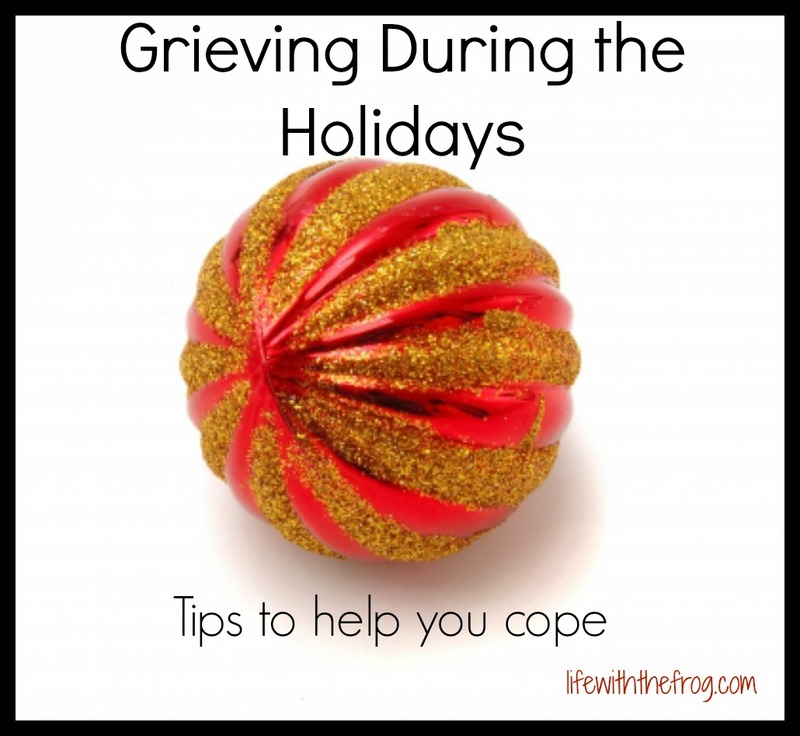 Right now it may feel like your grief is overtaking any holiday joy you may feel, but know that it's not always going to be like this. 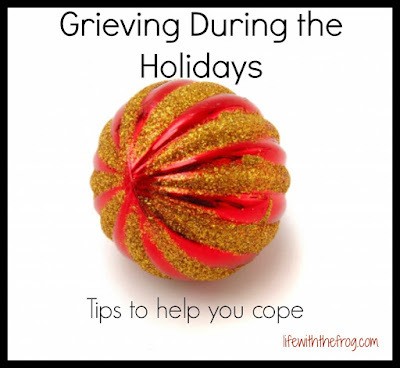 You will feel like celebrating again; and those celebrations can co-exist with your grief. Don't be false with your feelings. If you don't feel like celebrating, you don't have to. Just be honest with those closest to you, and they will understand. I know the pain of trying to navigate holidays without someone you love. The pain never goes away, but in time it can exist alongside joy and special memories. Read about one special memory I have of Joey's last Christmas right here on Her View From Home.